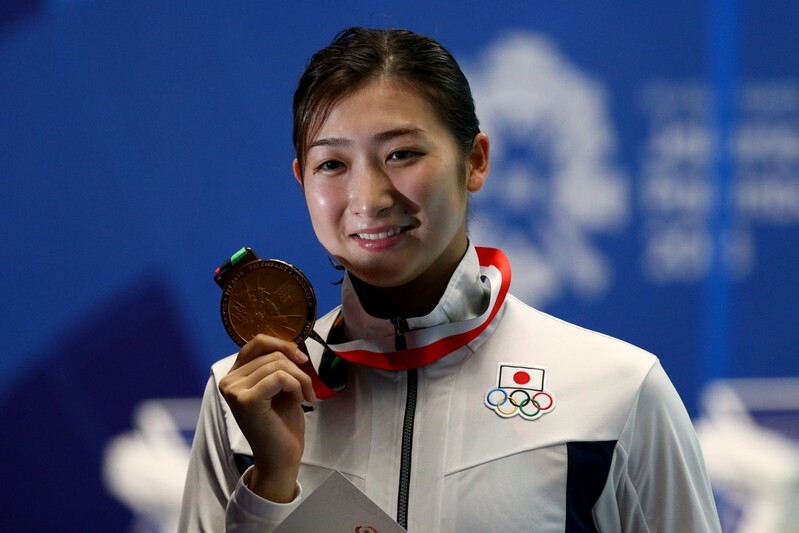 TOKYO (Reuters) – Japanese swimmer Rikako Ikee, who won six titles at last year’s Asian Games and was considered a strong medal contender for the 2020 Tokyo Olympics, said on Tuesday she had been diagnosed with leukemia. The 18-year-old was named Japanese Swimmer of the Year last month after her record-breaking exploits in the Jakarta pool. “I was feeling ill and urgently came home from Australia, underwent testing and the diagnosis was leukemia,” Ikee wrote on Twitter. The diagnosis will deprive the world junior 50 meter freestyle, 50m butterfly and 100m butterfly champion of the chance to race at the senior world championships in Gwangju, South Korea later this year. Ikee, who swam the fastest time in the world in the 100m butterfly and second fastest in the 50m butterfly last year, said she would miss Japan’s swimming trials to focus on treatment. “I am going to take some time off and focus on treatment and as soon as possible I want to show an even stronger Rikako Ikee,” she added. Only North Korean shooter So Gin Man, who won seven golds and a silver at New Delhi in 1982, has won more titles at one Asian Games than Ikee. Ikee, whose gold medal haul was the most for a female athlete at a single Asian Games, also picked up two relay silvers to match So’s record tally of eight medals. Winning all six of her gold medals in record times in Jakarta propelled her onto the world stage and made her a major name in Japan. Coming home sixth in the 100m butterfly at the Rio Games as a 16-year-old, Ikee had been expected to compete for medals at Tokyo 2020 but must now focus on getting healthy before thoughts turn to the summer showpiece in 528 days’ time.